Starting a guide soon! figma Eren Yeager!! I’m Machida, in charge of planning. Today, I’ll be introducing what was displayed at the Attack on Titan Reading & Live Event 『Attack Sound Experience』 the other day! I’m finally starting a guide for the main character Eren from the anime 「Attack On Titan」ー. Second only to Mikasa in fighting technique among the 104th Trainees Squad, with his superior results placing him in fifth place in his squad. Despite all of the twists and turns, he entered the Scouting Legion, just as he wished. He looks like this when you fully equip the 「3D Maneuver Gear」. 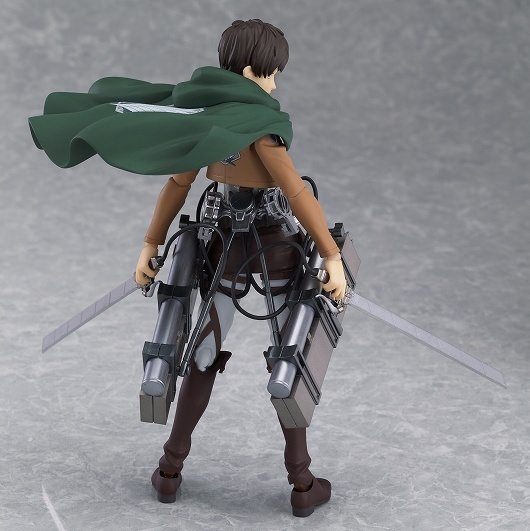 Of course the 「ultra-hard blades」 and 「Scouting Legion cloak」 are included as well. He looks like this from the back! The very elaborate 3D Gear is definitely something I want you to notice. The cloak and jacket have the Scouting Legion’s “Wings of Freedom” on the back. He comes with 3 expressions, and the one earlier was his determined face. This one is his 「angry face」. 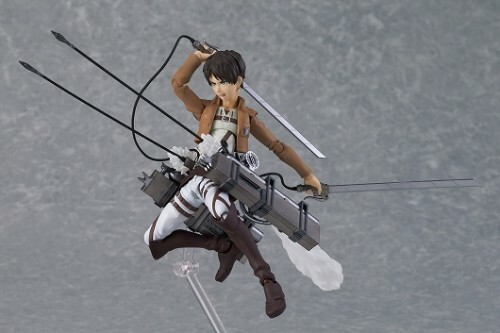 It’s an expression that can be widely used, such as for reproducing a battle scene or doing a pose using the 3D Gear. The「wire anchor」, 「emitting effects」, and 「effect parts」can be attached to the 3D Gearー. The third expression is his 「shocked face」. I think it’s often seen in the original story. 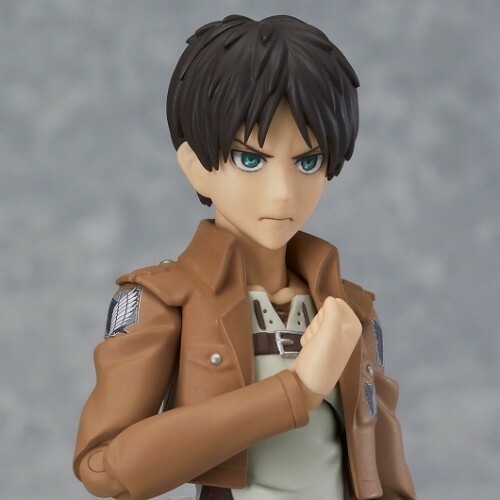 With this expression, Eren can still be cool and show his strong will, no matter what happens!! 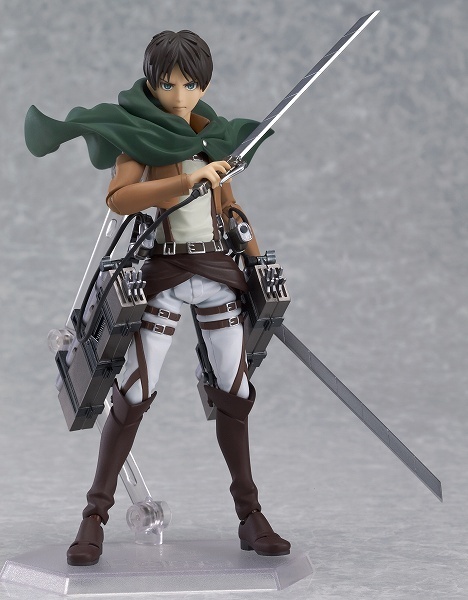 That’s it for the introduction of figma Eren Yeager! 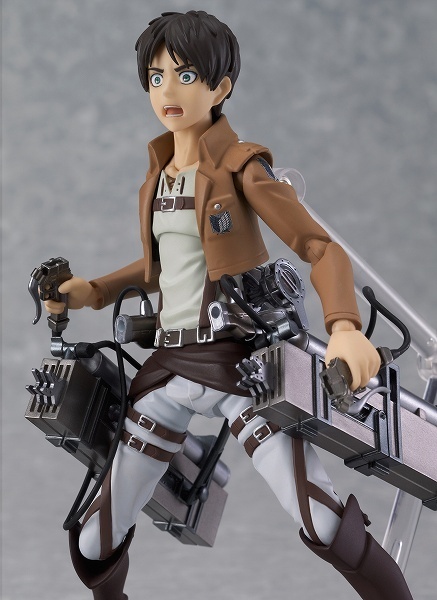 The price, including tax, is 4937 yen, and it’ll be on sale approximately in February of 2014. Also, information will be scheduled for tomorrow the 16th (Wed.) around noonー. 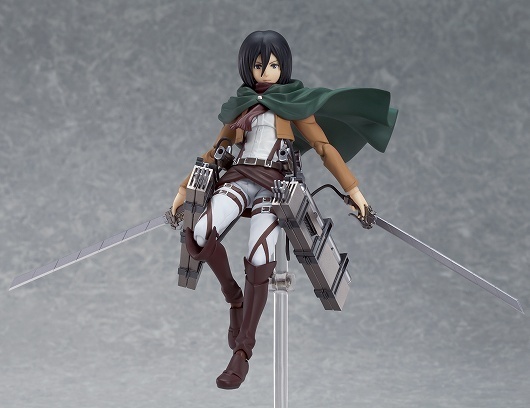 Also, a second round of orders for the popular figma Mikasa Ackerman has been decided. This too will be 4937 yen, including tax, and is scheduled to go on sale approximately in April of 2014. Please treat Eren and Mikasa well!! 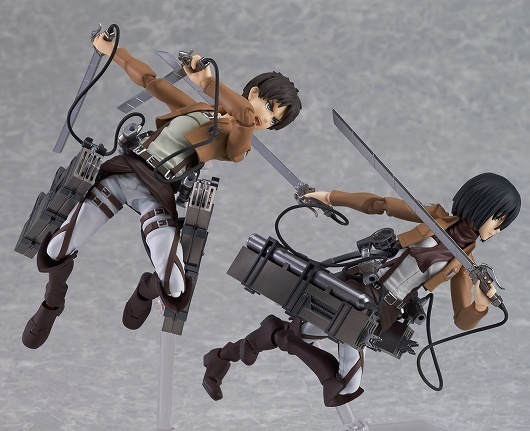 And, look forward to joining Eren and Mikasa together!!! 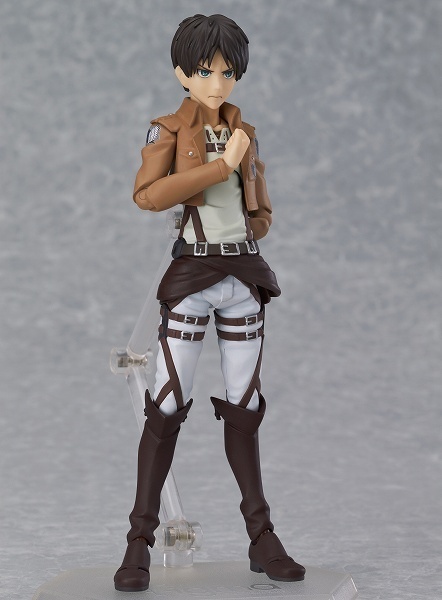 Tagged Attack On Titan, Blog, Eren Yeager, figma, 進撃の巨人.